Here I would like to describe the conceptual framework of thesis and dissertation Proposal.This concept based on many resources and theories. 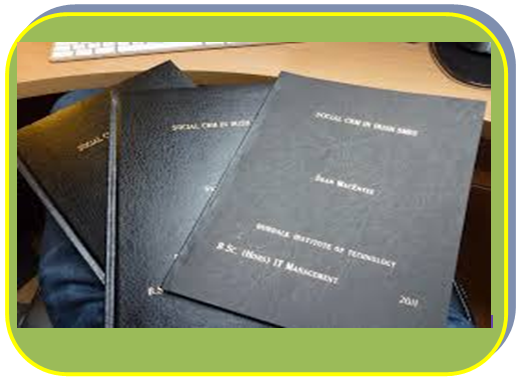 Students usually find that crafting the thesis or dissertation proposal is a lengthy process that requires repeated consultation with the major professor and other committee members. Be sure to plan ahead. A. “The introduction is the part of the paper that provides readers with the background information for the research reported in the paper. Its purpose is to establish a framework for the research, so that readers can understand how it is related to other research” (Wilkinson, 1991, p. 96). C. If a researcher is working within a particular theoretical framework/line of inquiry, the theory or line of inquiry should be introduced and discussed early, preferably in the introduction or literature review. Remember that the theory/line of inquiry selected will inform the statement of the problem, rationale for the study, questions and hypotheses, selection of instruments, and choice of methods. Ultimately, findings will be discussed in terms of how they relate to the theory/line of inquiry that undergirds the study. D. Theories, theoretical frameworks, and lines of inquiry may be differently handled in quantitative and qualitative endeavors. 1. “In quantitative studies, one uses theory deductively and places it toward the beginning of the plan for a study. The objective is to test or verify theory. One thus begins the study advancing a theory, collects data to test it, and reflects on whether the theory was confirmed or disconfirmed by the results in the study. The theory becomes a framework for the entire study, an organizing model for the research questions or hypotheses for the data collection procedure” (Creswell, 1994, pp. 87-88). 2. In qualitative inquiry, the use of theory and of a line of inquiry depends on the nature of the investigation. In studies aiming at “grounded theory,” for example, theory and theoretical tenets emerge from findings. Much qualitative inquiry, however, also aims to test or verify theory, hence in these cases the theoretical framework, as in quantitative efforts, should be identified and discussed early on. A. The problem statement describes the context for the study and it also identifies the general analysis approach” (Wiersma, 1995, p. 404). B. “A problem might be defined as the issue that exists in the literature, theory, or practice that leads to a need for the study” (Creswell, 1994, p. 50). C. It is important in a proposal that the problem stand out—that the reader can easily recognize it. Sometimes, obscure and poorly formulated problems are masked in an extended discussion. In such cases, reviewers and/or committee members will have difficulty recognizing the problem. D. A problem statement should be presented within a context, and that context should be provided and briefly explained, including a discussion of the conceptual or theoretical framework in which it is embedded. Clearly and succinctly identify and explain the problem within the framework of the theory or line of inquiry that undergirds the study. This is of major importance in nearly all proposals and requires careful attention. It is a key element that associations such as AERA and APA look for in proposals. It is essential in all quantitative research and much qualitative research. E. State the problem in terms intelligible to someone who is generally sophisticated but who is relatively uninformed in the area of your investigation. F. Effective problem statements answer the question “Why does this research need to be conducted.” If a researcher is unable to answer this question clearly and succinctly, and without resorting to hyperspeaking (i.e., focusing on problems of macro or global proportions that certainly will not be informed or alleviated by the study), then the statement of the problem will come off as ambiguous and diffuse. G. For conference proposals, the statement of the problem is generally incorporated into the introduction; academic proposals for theses or dissertations should have this as a separate section. A. “The purpose statement should provide a specific and accurate synopsis of the overall purpose of the study” (Locke, Spirduso, & Silverman, 1987, p. 5). If the purpose is not clear to the writer, it cannot be clear to the reader. B. Briefly define and delimit the specific area of the research. You will revisit this in greater detail in a later section. C. Foreshadow the hypotheses to be tested or the questions to be raised, as well as the significance of the study. These will require specific elaboration in subsequent sections. D. The purpose statement can also incorporate the rationale for the study. Some committees prefer that the purpose and rationale be provided in separate sections, however. E. Key points to keep in mind when preparing a purpose statement. 1. Try to incorporate a sentence that begins with “The purpose of this study is This will clarify your own mind as to the purpose and it will inform the reader directly and explicitly. Clearly identify and define the central concepts or ideas of the study. Some committee Chairs prefer a separate section to this end. When defining terms, make a judicious choice between using descriptive or operational definitions. Identify the specific method of inquiry to be used. Identify the unit of analysis in the study.